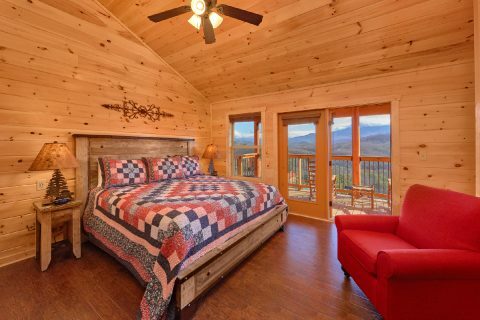 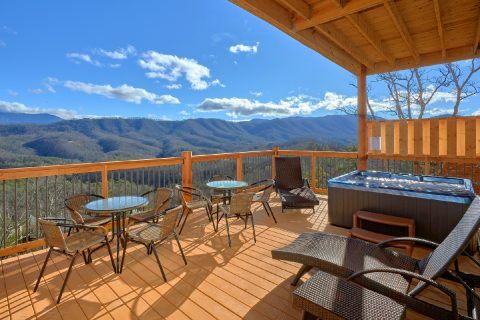 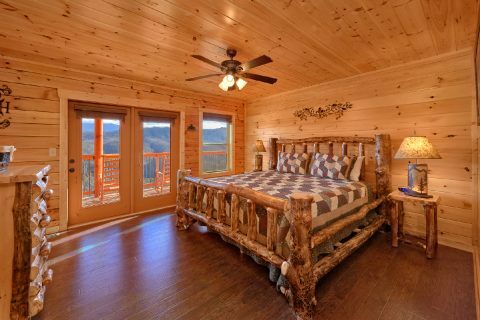 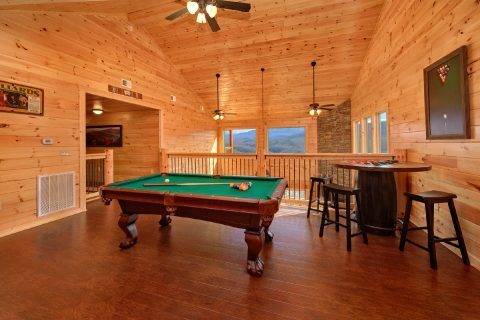 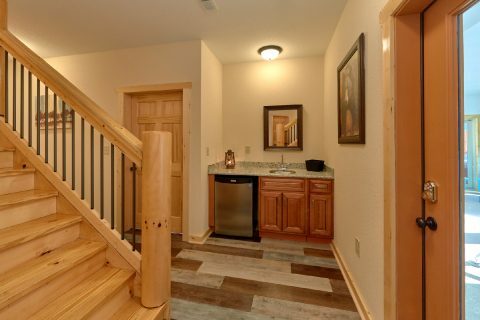 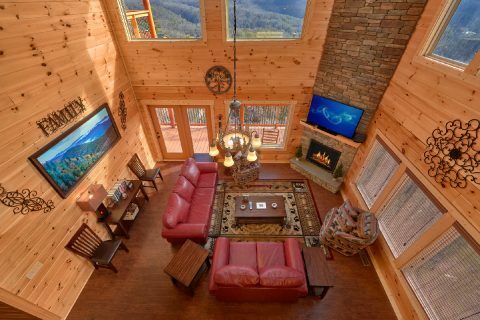 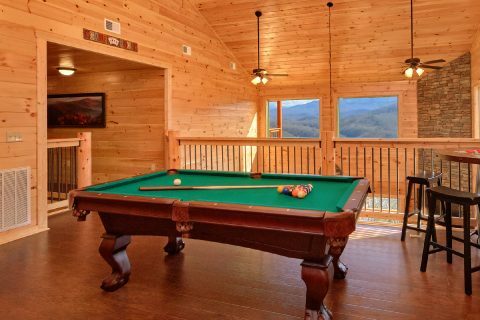 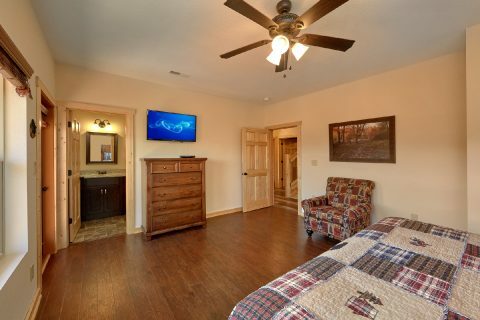 Nestled in the mountains near Pigeon Forge in the Smokies, you'll find "TrinQuility VIew" a luxury 5 bedroom cabin that comes complete with both an indoor and outdoor swimming pool! 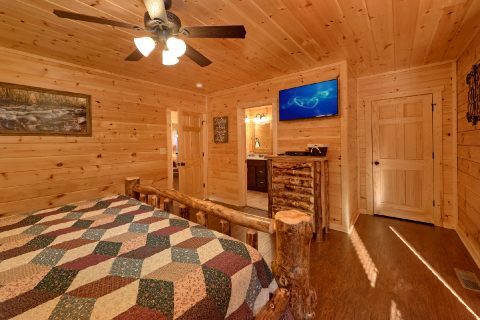 This premium cabin boasts a private indoor swimming pool and it also provides guests with access to Sherwood Forest Resort's seasonal outdoor swimming pool. 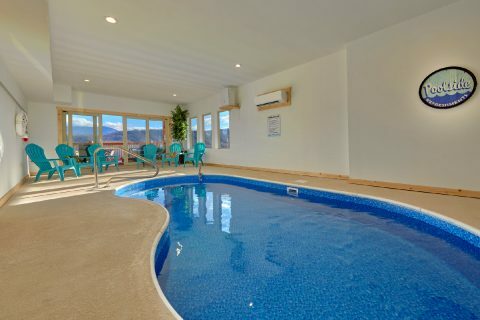 As a result, guests of this cabin can enjoy year-round swimming and they can also work on their tan by the poolside during the warm summer months. 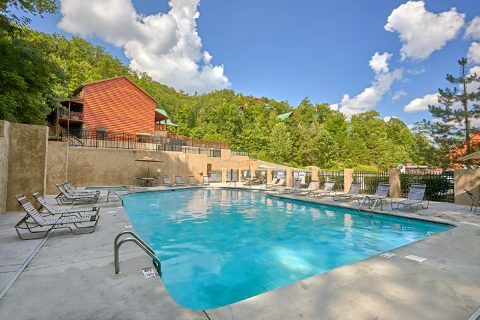 On top of going for a relaxing swim, you cabin offers plenty of other amenities to make your Smoky Mountain vacation a true delight! 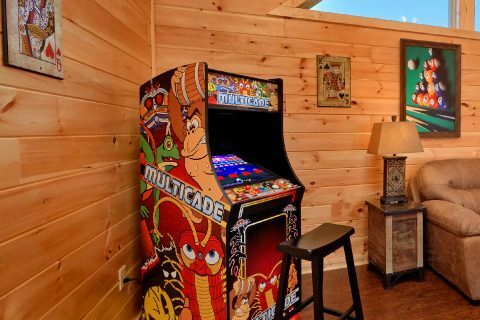 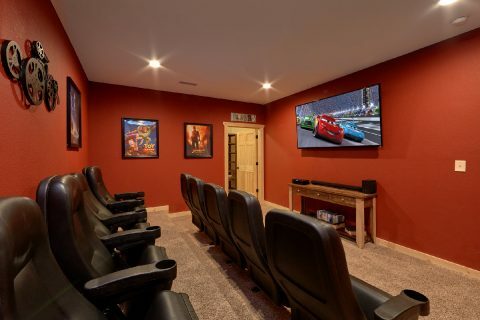 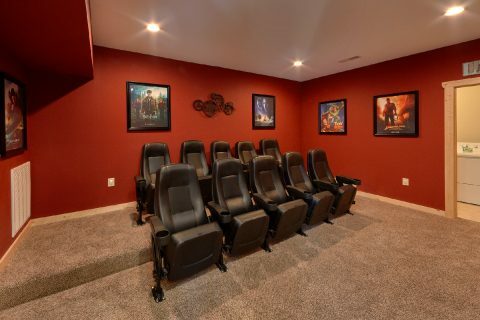 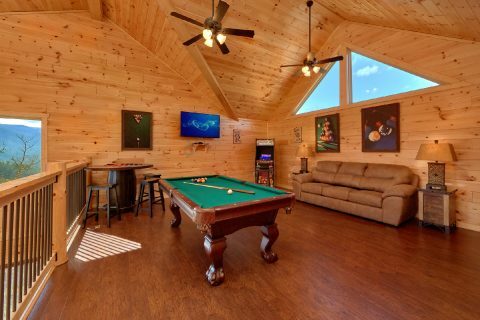 From your cabin's private theater room with a 70' television to the outdoor hot tub to the fully-stocked game room with a pool table and multi-game arcade game, there's plenty of ways to relax and unwind in this 5-star cabin. 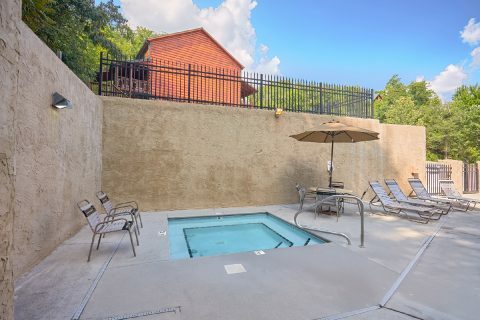 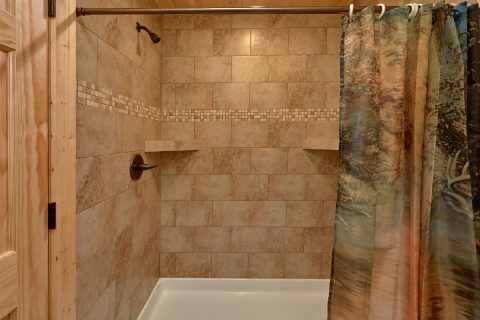 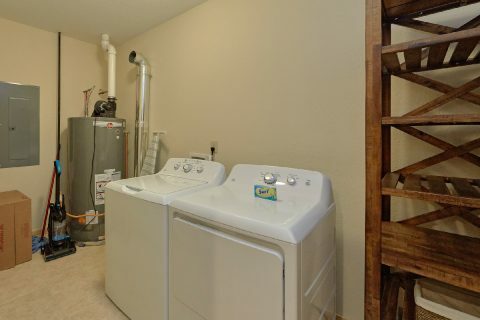 Better yet, this rental has all of the practical amenities you need to make your stay a success including a full kitchen, a washer/dryer, charcoal grill, electric fireplace, WiFi with expanded bandwidth, and USB plugs. 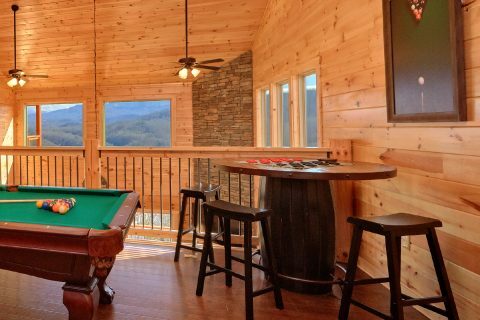 Additionally, this cabin boasts a wet bar and a mini fridge on the lower level, so you can easily grab a snack while you are watching a movie or taking a dip in the indoor swimming pool. 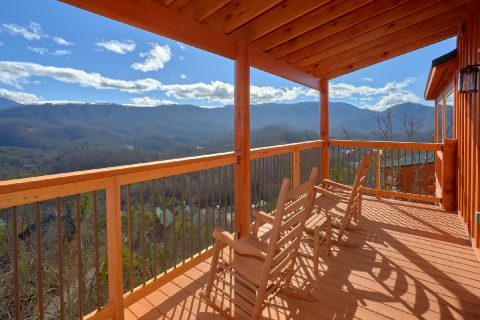 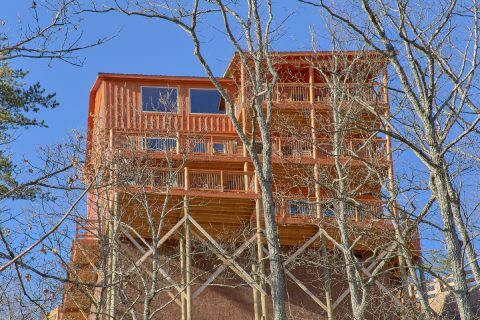 When you aren't relaxing at your lovely cabin in Sherwood Forest Resort, you'll love exploring fun attractions in the Smokies that are only minutes away! 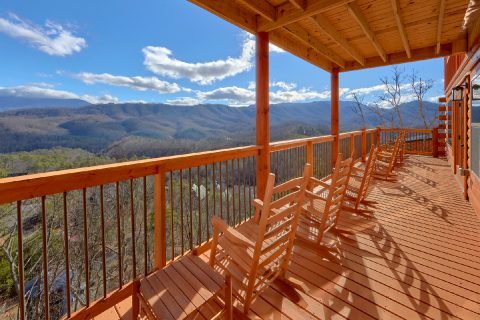 After all, the attractions of the Pigeon Forge Parkway are only 2 miles away. 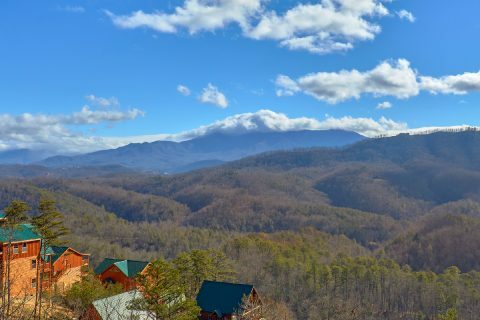 As a result, you can explore top local attractions like Dollywood, The Old Mill, and The Island in Pigeon Forge with ease. 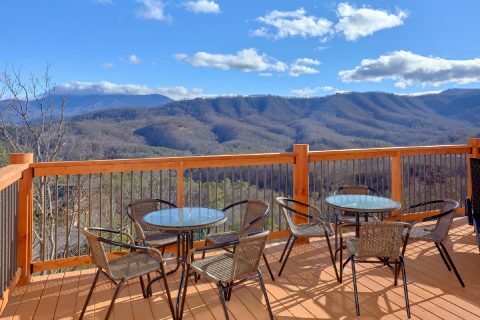 Additionally, Downtown Gatlinburg and the Great Smoky Mountains National Park are only an 8-mile drive from your cabin, so this rental is also ideal for exploring hiking trails, waterfalls, and iconic Gatlinburg attractions like the Space Needle, Ober Ski Mountain, and Anakeesta. 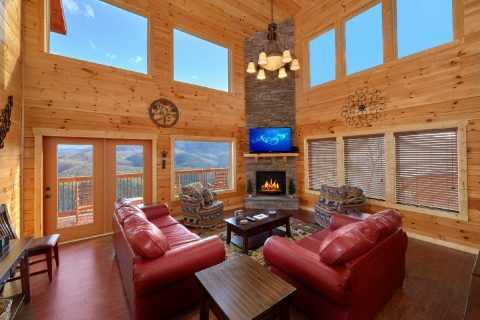 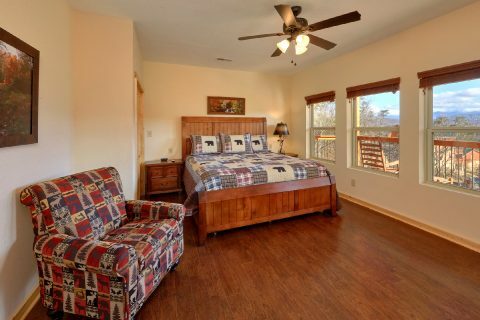 With room for up to 16 guests, "TrinQuility View" is ideal for a family vacation or a fun weekend in the mountain with friends! 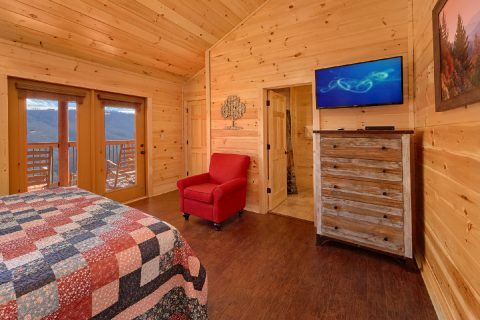 Once you're ready to get some rest, you can look forward to sleeping in one of this cabin's 5 bedrooms that each comes with a full bath. 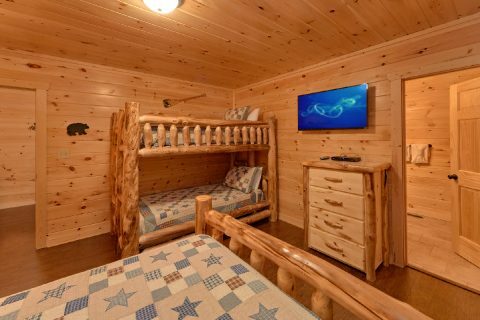 On the main level, you'll find a king-sized bedroom and another bedroom with a queen bed and a twin bunk bed. 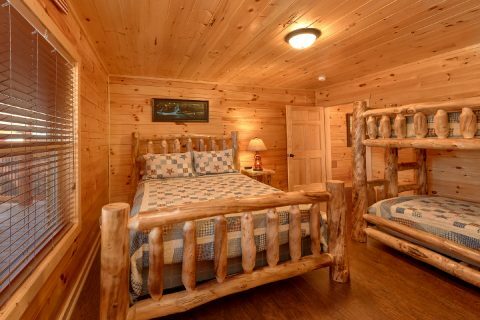 Upstairs, there is another king-sized bedroom and a bedroom with a queen bunk bed. 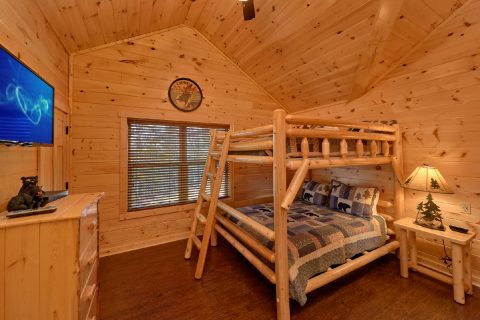 Downstairs, you'll find the last king-sized bedroom. 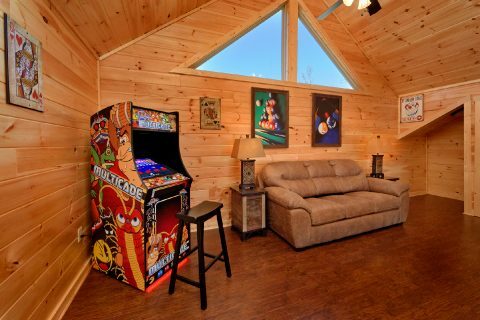 Lastly, there's a queen sleeper sofa in the upstairs game room for extra guests! 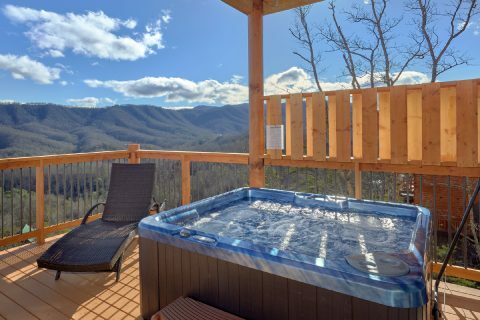 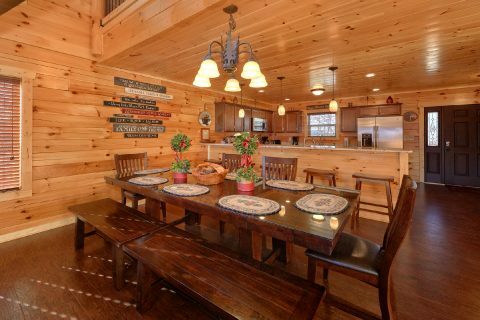 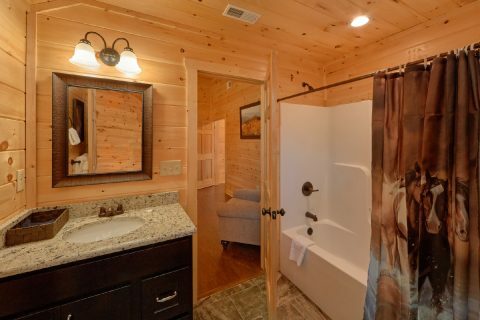 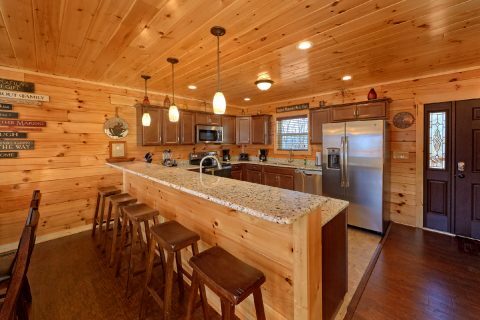 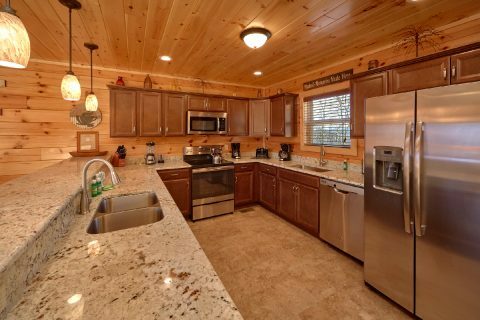 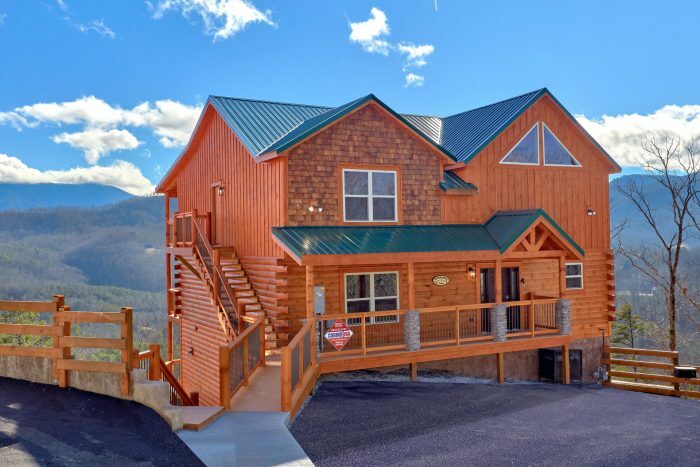 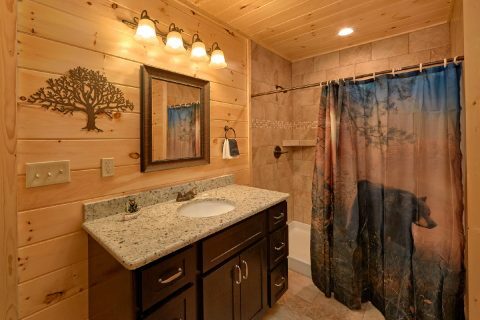 Book this luxurious cabin with indoor and outdoor swimming pools today with Cabins USA Gatlinburg to save 15% on your nightly rate with our special cabin discount!